A five-thousand-year-old Russian drink needed a proper introduction to us Yankees. So Coca-Cola tapped Ogilvy to create a brochure to sell the stuff to distributors. This is the brochure they did it with. You've never had a hangover quite like a Russian hangover. It's the stuff legends are made of. 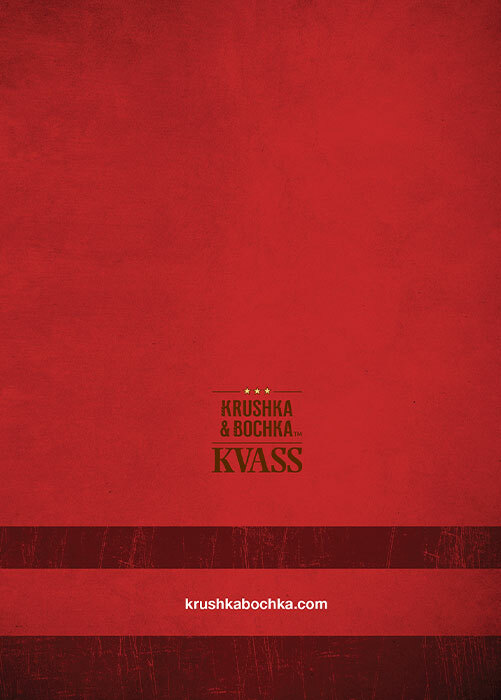 Happily, so is Kvass. It all started 5,000 years ago in the monastery that beer was born. 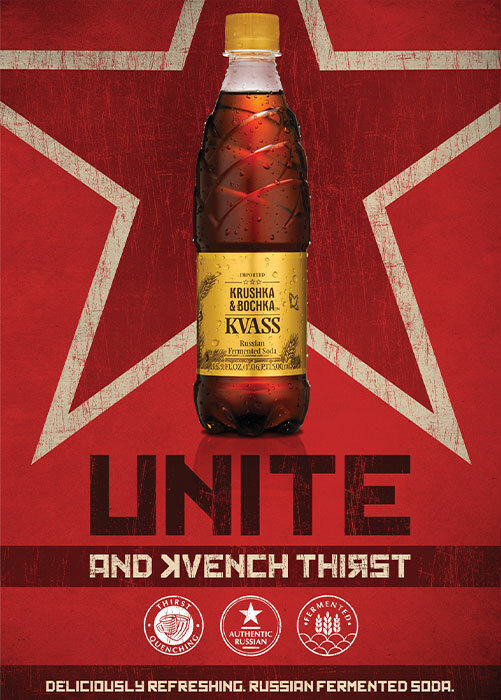 Kvass was first enjoyed by Muscovites, other city dwellers and villagers throughout Russia and eventually, czars and peasants alike were drinking the stuff. The next thing you know, it's on the national map. Hell, it even made it into War & Peace. Translated literally as a "bread drink," it's the mother of all cleansing ales. 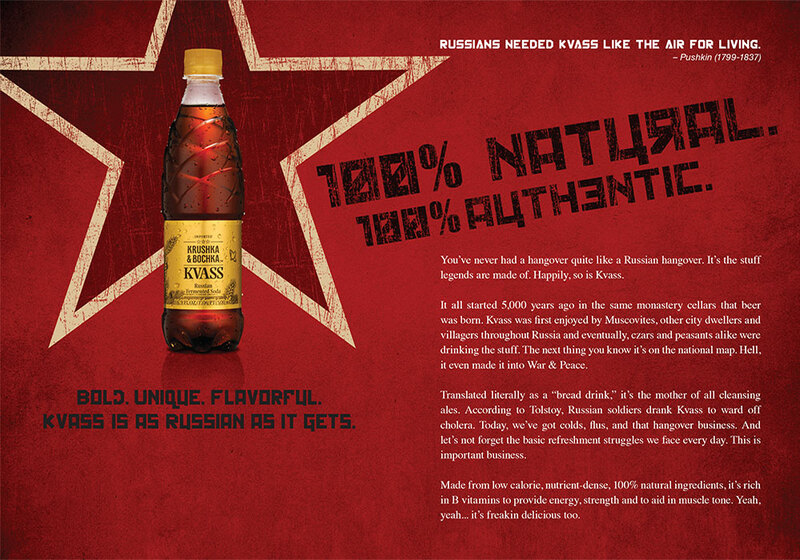 According to Tolstoy, Russian soldiers drank Kvass to ward off cholera. Today, we've got colds, flu, and that hangover business. And let's not forget the basic refreshment struggles we face every day. This is important business. Made from low calorie, nutrient-dense, 100% natural ingredients, it's rich in B vitamins to provide energy, strength and to aid in muscle tone. Yeah, yeah... it's freakin delicious too.